Northstar is a program of the Minnesota Literacy Council, whose mission is to share the power of learning through education, community building, and advocacy. Using Technology to Accomplish Tasks - Social Media, Information Literacy. Northstar was developed in response to the needs of job seekers who may lack the digital literacy skills needed to seek, obtain, and retain employment, as well as to perform other tasks in daily life. 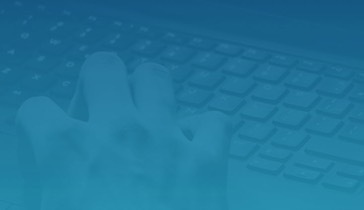 Northstar allows end users to freely take the assessments from anywhere via our homepage, but individuals can instead go to an approved testing location and obtain the Northstar Digital Literacy Certificate when they pass assessments. Certificates provide an important credential for employment, as even entry-level jobs increasingly require basic computer skills. Certificates also certify end user ability to complete computer skills needed in higher education, and demonstrate their ability to use social media and online information thoughtfully. If individuals do not pass, personalized assessment results provide a roadmap to relevant instruction, allowing them to retake the assessment once they have mastered the necessary skills. Northstar is used by over 695 Adult Basic Education programs, colleges, nonprofits, workforce centers, government agencies, and businesses. There is no cost to complete the assessments on the Northstar homepage. What are the system requirements for Northstar? Are the assessments ADA compliant? Closed captioning is available in all assessment modules, and updated modules were developed to be screen-reader compliant. Each testing location will work to provide other accommodations as requested. Testing locations will provide readers as needed for individuals with documented dyslexia or related conditions when they complete the assessments. If questions arise regarding specific accommodations, or if you discover a problem while using a screen reader that we missed in our testing, please contact us and we will work to address these issues. The standards informing the Assessments were developed through a collaborative, community-based process in the Twin Cities, Minnesota. The process was suggested by the St. Paul Public Library, and hosted by the St. Paul Community Literacy Consortium. Who is the target audience for the Northstar Assessments? Any person who needs to assess and improve their basic digital literacy skills. This may include ABE students, displaced workers, and others. Who funded the creation of the initial assessments? The Otto Bremer Foundation and the Library Services and Technology Act. Are the assessments designed for non-English speaking refugees and immigrants? A mid-level English reading comprehension ability is needed to complete the assessments. The modules in the "Essential Computer Skills" (especially Basic Computer skills, Internet basics) are designed low to mid-level English in mind. All questions are offered in both written and aural forms with the chance to replay the audio questions as needed. Are the assessment modules intended to directly instruct test takers? No, the assessments are a tool for individuals to identify areas of strength and areas needing work. Teachers may also use the assessments as pre- and post-tests, as well as a means for guiding instruction. In 2019, we will offer Northstar curriculum, which is intended to support instruction. Can test takers go back and correct answers if they realize they have made a mistake while still completing an assessment module? Yes, in our version 2.0, you are able to go back and change the answer to most questions. Will test takers who complete the assessments be given the correct answers to questions they answer incorrectly? No, this would invalidate the result of future assessments. Participants receive a printed report identifying areas of strength and areas needing work. What data and resources are available to testing locations? A wide variety of proctor tools, resources for learners, a comprehensive database for each organization to access reports and stats, and marketing materials. Is it possible to download assessment modules, burn them onto a DVD or CD, and complete them offline? No, the assessments utilize a web-based application, and downloading isn't possible. Are there any curricula which incorporate the benchmarks in the Assessments? The St. Paul Public Library Learning Guide that includes online resources for most benchmarks. CTEP.weebly.com is a user-friendly resource for test takers. The Minnesota Literacy Council has a Computers and Literacy Curriculum. Another curricula resource is available at Intel Learn. GCF LearnFree (technology) is quite comprehensive. Why does my organization have an administrative website? How do I access it? The admin portal is used to access site activity, reports, certificate generation, proctor training, etc. Registered admins and proctors receive an email explaining how to log into their admin portal. See our admin portal training videos to learn more about the portal's functionality. What type of support is available to current and potential testing locations? In order to keep the assessments widely available at low cost, most processes are automated. Limited staff resources prevent us from providing individualized training, though we have webinars available at regular intervals. There is a wealth of training, reporting, marketing, and other resources available in the admin portal which test sites can access. We do appreciate bug reports, submitted through the "Open a Support Ticket" icon in your admin portal. We will respond to other questions and needs as resources allow. Why are there different URLs for the main site and my organization's customized assessment-launch page? When should I use each of them? Use the main site digitalliteracyassessment.org if you do not need access to the assessment data afterward, and do not plan to proctor the assessment. Use your organization's Location PIN or location-specific assessment-launch URL if you want access to the assessment data afterward. Your location-specific URL can be found in your admin portal. Decide whether you will be awarding a certificate. If not, you DO NOT need to set up the learner using the proctoring process. Just have the test taker enter their name before taking the assessments and this will help you locate their results in your database. It may be helpful for you to get a screenshot of or print their results. You can find a record of these results under Assessments in your admin portal. Use your Proctor PIN if you are awarding certificates. Besides taking the proctor training to learn the proctoring process, you can review our YouTube video on proctoring an assessment. Where can I find my proctor training? If you are a registered proctor for a testing location, you will be redirected to the proctor training the first time you log in to your admin portal. You should have received an email about how to log into your admin portal. How do I proctor the exam? Please watch this YouTube video which demonstrates how to proctor the Northstar assessment. I have a potential proctor at my testing location who already completed the proctor training at another location. How do I add that proctor's name to my organization's list? In your admin portal, add them as a proctor to your testing location using the same email address that they are registered under with the other location. Can individuals stop in the middle of an assessment, and return later to finish? No, the assessment must be completed in one sitting. If a learner navigates away from the assessment or if the internet connection is lost, then the assessment must be restarted. Which software versions are these modules modeled after? We strive to keep our modules current with the most commonly used software versions among our users. Currently our modules emulate Windows 7 and 10, Mac OS X, Word 2010 and 2016, Excel 2010 and 2016, and PowerPoint 2013 and 2016. There are various ways that one can accomplish the benchmarks included in the assessments. Do you allow for multiple correct answers? We agree that there are different ways to accomplish any given task on a computer. We tried to include as many alternatives as possible, and provide more specific instructions where response options are limited. Can I let test takers attempt the assessments multiple times? 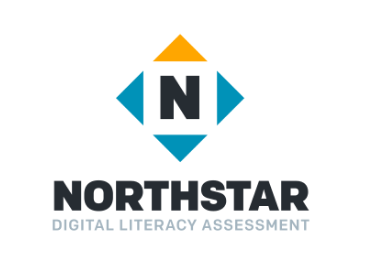 The Northstar Digital Literacy Assessment is a resource intended to support instruction. We consider it to be a way to see what people already know and to identify areas in which additional skills are needed. Another secondary purpose of the assessment is to provide a means by which learners can 'prove' those skills to others, like future employers. In either case, the assessments are tools intended to support instruction. When a learner takes the test multiple times in order to remember the correct answer, their test results do not represent demonstrable skills; rather, their test results only show their ability to guess at/remember the correct answer. In the long run, this testing strategy will undermine both the efficacy of the certificates awarded and the skill development of the learner. We highly recommend that testing locations refrain from serial testing without instruction in between the test events. Please encourage, provide, facilitate an hour or so of learning per skill area identified as 'needs improvement,' before re-testing. This will ensure the instructional needs of those assessed are met, while helping to maintain the integrity and credibility of the certificate. How do I know if a participant is ready to take an assessment? We discourage use of the assessments with people who have no previous experience using computers. We recommend instead that you use a paper-based screener. These new screeners are provided as a quick and easy way to determine whether low-literacy individuals have the level of computer skills needed to take the Northstar assessments in a meaningful manner. If individuals have very low skills, it is best to provide some instruction prior to having them take the assessments, so they do not become frustrated by attempting to complete assessments far above their skill level. There are two versions of the screener for each module, one for large group screening and one for one-to-one screening. The use of these screeners is not required, but recommended for use with low skills. You can find these screeners on your admin portal. Are there any keyboarding resources we can use? Is it possible for a testing location to change the order of questions in an assessment, or to delete certain questions? No, allowing individuals to change the assessment would invalidate the results and certification. How do I access Northstar successfully through our firewall? Is there a whitelist of domain names? How do I change a test result to proctored? Sometimes, you may need to update a test result to change the result to proctored. This can happen if you forget to enter your proctor PIN, or if your student closed the test window and opened a new one without you noticing. Ensure that you and your student followed the proctor and test-taker Codes of Conduct. If the assessment was taken with your Location PIN entered, you can follow the steps in the manual to change that result yourself. The manual is located here: https://www.digitalliteracyassessment.org/manual If the assessment was taken without your Location PIN or Proctor PIN entered, you may email us within 30 days at: support@digitalliteracyassessment.org for help. Please note that if we receive frequent requests to make changes to your records, we may decline, as we have limited staff time and resources. In that case, you should simply retest your student, and ensure you follow the proper procedure. Digital Badges (or Open Badges) is a new movement in credentialing. Badges are a way to display and document skills learned both in and out of the classroom. They are often used to demonstrate independent learning and skills mastered in service and volunteering, online learning and computer skills, and job skills or work experience. The Mozilla Foundation has created a way to coordinate and standardize badges, Open Badges. It is a common system for issuing, collecting, and displaying badges earned on multiple instructional websites. Badge issuers, like Northstar, register a learning opportunity, linking it to the online badging system. Once a task is completed, a test-taker is awarded a badge, which is then stored in his or her secure Badge Backpack, a webpage that serves as a transportable portfolio to be shared with employers or other stakeholders who need to know that person's skills and experience. “Open Badges” is a means by which assessment test takers can keep a permanent, accessible record of assessments they have passed. Test-takers just need an email address to open a backpack account. After that, they can access the record of their Northstar success through their own Mozilla Backpack webpage. Instructions for issuing a badge are available through the admin portal. How do I share a badge once I've earned it? These days, every employee needs basic computer skills to perform even most entry-level jobs. Northstar Digital Literacy helps job seekers demonstrate to employers that they have mastered basic skills.